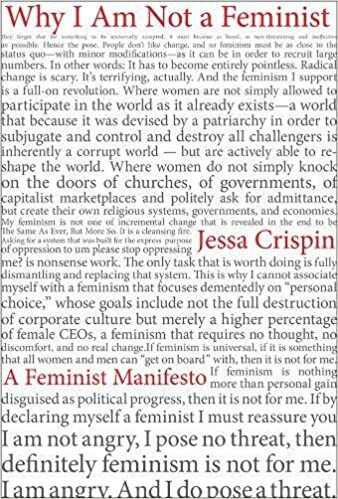 Why I Am Not A Feminist: A Feminist Manifesto – loudlatinlaughing – Euge! Euge! Fierce and merciless, much like Andrea Dworkin’s writing which Crispin rightfully defends. She is vehemently anti-“Universal feminism”, the type that has become hip, emblazoned on t-shirts and simply another accoutrement of culture. Buy this object to show the world that you’re a cool feminist, but don’t really think too hard about what feminism is, and what you’re fighting for.